Three people suffered serious injuries following a three vehicle crash on Nene Parkway in Peterborough yesterday. 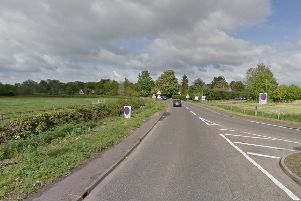 Police, ambulance crews and the air ambulance were called at 3.12pm on Sunday, June 24, to the southbound carriageway close to Longthorpe Parkway. The collision involved an Audi Q7, a Renault Megane and a Vauxhall Vectra. Three people suffered serious injuries and were taken to hospital for further treatment. The northbound carriageway was also shut initially but was quickly reopened. The road was fully open again at about 5.15pm. Police are asking any witnesses or motorists with dashcam footage to contact them on 101 quoting log 0283 of 24th June.